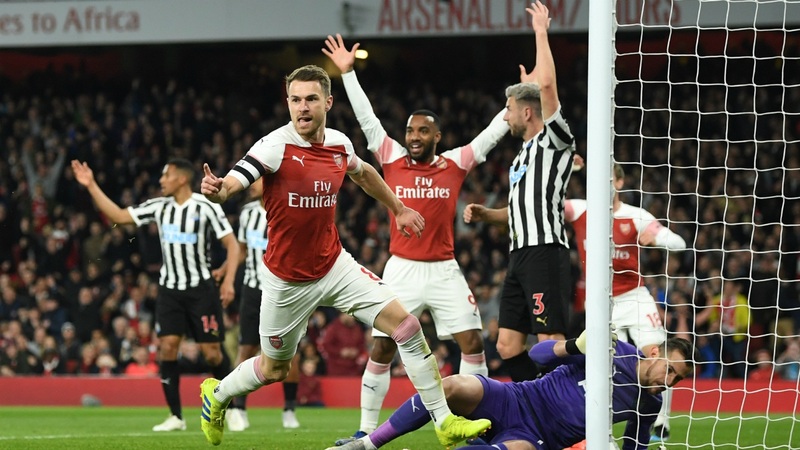 Arsenal moves to the third spot of the Premier League table standings following their 2-0 victory against Newcastle United at the Emirates Stadium. Thanks to the goals from Aaron Ramsey and Alexandre Lacazette as they secured a much-deserved win which saw Unai Emery’s side equal the total points last season under Arsene Wenger with seven more games to play. In addition, the triumph seal the Gunner’s 10th successive home league win for the first time since May 1988. Not only that, Arsenal had leapfrogged two points clear over London rivals Tottenham Hotspur and Manchester United into third place to help them ensure their qualification for the Champions League. Meanwhile, Emery was so proud with Arsenal’s impressive performance, togetherness and team performance following the 2-0 win. What’s next? Now they’re set to travel to Everton on Sunday, April 7 at 9:05 PM (GMT +8) while Newcastle will host Crystal Palace on Saturday, April 6 at 10:00 PM (GMT +8) at the St. James’ Park. Take advantage of our comprehensive match result for the Premier League. Sign Up today and stay tuned for the forthcoming events, predictions and betting odds for more chances of winnings using the 12BET Mobile Apps for iOS, Android and 12Access for PC to enjoy betting on Sports and Slots. Take note that 12BET is the leading online sports betting and forecasting website that allows you to bet in complete security while benefiting from best bonuses and promotions.